One of the most sneaky problems that can affect your roof is a roof leak. If you leave a small leak unattended, you can end up with costly water damage. Fortunately, as both a GAF Master Elite™ contractor and CertainTeed ShingleMaster™, we are one of the top roofing companies in Northern Virginia. You can rely on Peak Roofing Contractors to help you with any kind of roofing problem. Compromised Roof Structure – A roof leak can damage your ceiling joists, rafters, exterior trim, fascia boards, and wall framing. A chronic leak can cause your wood roof framing to weaken, rot, and deteriorate. This is a serious and costly roof problem. If you suspect that your home has a leak, then give us a call. We will locate the roof leak, analyze the condition of your roof, and recommend the best solution. Ceiling and Attic Damage – These are often the most noticeable areas to display damage from a roof leak. Ceiling patin can darken and ceiling plaster can expand and bubble. Leaking water from your roof can also damage the plaster and paint near your walls, and damage ceiling-mounted fans and lights. If you see water spots on your ceiling or attic, then you need to call an expert in Manassas roofing like us for roof inspection and repair. Increased Energy Bills – Water intrusion from a leaky roof is detrimental to the insulation in your attic. Saturated cellulose or fiberglass insulation is not effective. This can lead to energy escaping your home, making it harder for your utilities to maintain your desired temperature. Your utilities will consume more energy and increase your energy bills. Peak Roofing Contractors can prevent this from happening with our residential roof repair services. Mold and Mildew Growth – An unattended roof leak can cause serious mold and mildew issues. If you leave a leak unattended, mold can spread throughout your home’s structure. Mold can attack your floor and wall coverings, ceiling tiles, and wood framing. It is difficult and time-consuming to remove from your home. You can prevent this by calling us early for roof repair. As a specialist in residential roofing in Manassas, we can prevent all of these roof leak dangers. When you call us for an inspection, we will thoroughly investigate your entire roofing system. We will track down the source of the leak and repair any damage. We can also reduce the risk of any roof leaks forming on your roof again. 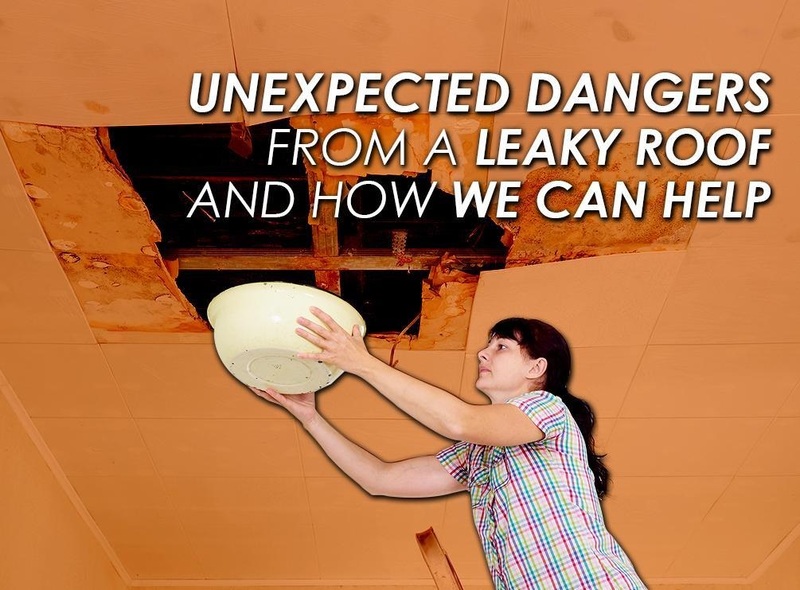 Call us at (703) 745-5153 to learn more about the dangers of roof leaks. You can also ask for a free estimate.